Amid the rancor and chaos President Trump has brought to Washington, it’s easy to overlook the unconscionable toll of widening hazard and enduring harm he’s imposing on the country, by waging the worst White House assault in history on our environment and public health. From our cities to our farmlands, from the mountains to the sea, Trump has put special interests first, and put the rest of us at risk, to bolster polluter profits at the public’s expense. We ignore these attacks, and their mounting costs, at our peril. Trump’s party, though, has refused to stand up for the public interest or to hold him to account. That’s what midterm elections are about. As we go to the polls this year, we need to support candidates who will stand up to this president and his reckless assault on our environment and health. The Environmental Protection Agency has served as a boon not only to America’s environment, but to our economy as well. Five decades ago, overwhelming bipartisan majorities in both houses of Congress passed the landmark laws that form the foundations of environmental protection in our country. The Clean Water Act. The Endangered Species Act. The Clean Air Act. The National Environmental Policy Act. President Richard Nixon, a Republican, established the Environmental Protection Agency, which quickly went to work on initiatives like cleaning up our air, testing the fuel economy of our cars and fighting industrial pollution in the Great Lakes. At the time, industry howled that it could not survive responsible public oversight, sounding dire warnings of economic collapse and spinning the false narrative that Americans had to somehow choose between a clean environment and jobs. Instead, the economy has nearly quadrupled in size, growing an inflation-adjusted 370 percent since the EPA was formed in 1970, while U.S. employment has doubled, adding more than 77 million jobs. A new study, in fact, shows that real manufacturing output grew 30 percent between 1990 and 2008, even as sensible environmental standards drove down industry pollution a stunning 60 percent. 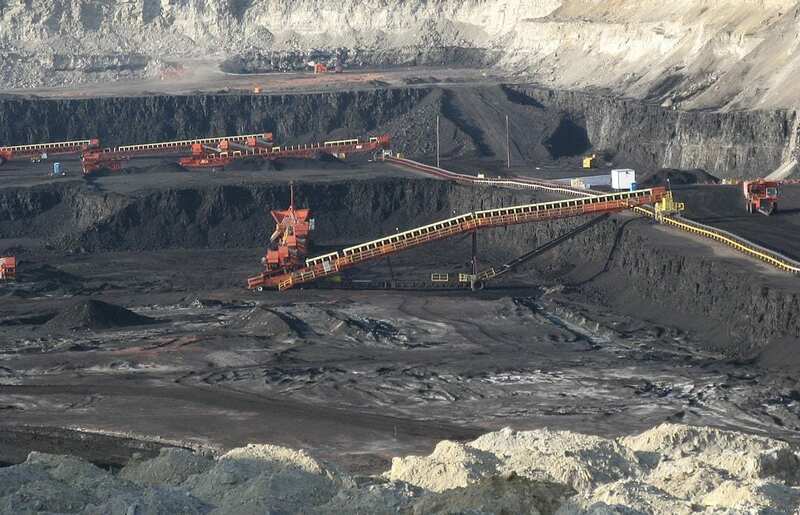 A coal mine in Gillette, Wyo. Trump has taken a wrecking ball to the entire edifice of environmental protection, falsely claiming that his regulatory rampage is about cutting costs and growing jobs. He’s misled his supporters into believing we can’t prosper without plundering our world and endangering our people. We can prosper, and we are. 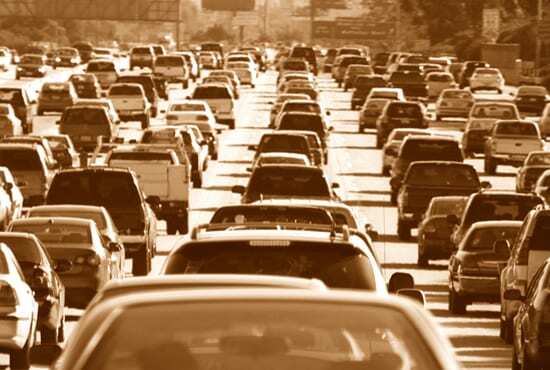 A modern economy thrives on predictable rules of the road, as the decades-long record proves. Leaving our families and communities vulnerable to toxic pollution and industrial ruin is nothing to brag about: it’s penny wise and pound foolish. Recent analysis from the White House itself shows that environmental protections, safety rules and other major federal regulations pay out between $2.50 and $11.68 in public benefits for every dollar invested to comply with commonsense safeguards. Protecting the American people is not only the right thing to do: it’s a sound investment in our future. The fact is, we don’t save money by allowing our air and oceans to be poisoned, our public lands and waters to be despoiled and our future to be imperiled by unchecked climate chaos. We simply shift the rising costs of environmental degradation and health from the polluters to the public. Nor do environmental safeguards threaten jobs. Companies lay off workers because of automation and productivity gains, as well as financial problems, organizational shifts and market conditions (pg. 19). Safety and environmental protections, and other oversight issues, of all kinds, typically account for between 1 percent and 2 percent of all layoffs. Trump’s flailing assault on our environment and health follows the same reckless script as the fraudulent GOP tax scam that’s already spiked the federal deficit. Both are designed to further enrich some of the wealthiest shareholders and most profitable corporations in history – and leave our kids to pay the price. We owe them better than that. Earlier this month, the latest United Nations report on climate change made it clear: we’ve got about a decade to accelerate the shift from fossil fuels to cleaner energy sources, or we’ll condemn our children to a world of hurt. “Climate change represents an urgent and potentially irreversible threat to human societies and the planet,” the Intergovernmental Panel on Climate Change reports. To prevent the worst impacts of climate catastrophe, the panel warns, we must cut carbon emissions – which come mostly from burning coal, oil and gas – 45 percent below 2010 levels by 2030, and eliminate them entirely, or somehow compensate for those that remain, by 2050. That’s the global scientific consensus embodied in a report drafted by 91 scientists drawing on the findings of more than 6,000 peer-reviewed studies. 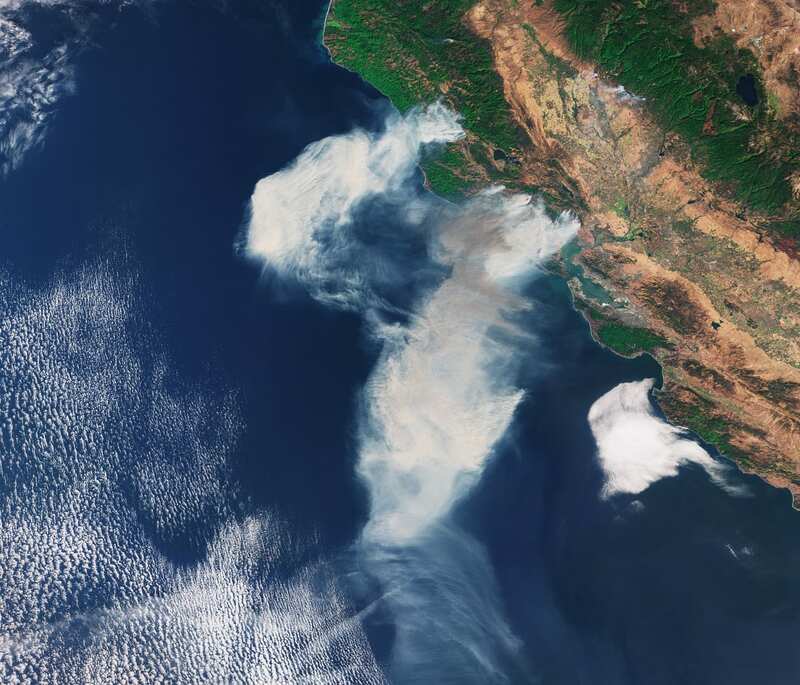 The report comes as California just wrapped up – in July – its hottest month on record; much as the May-July months were the hottest such period for the United States since at least 1895. Worldwide, 2018 is on track to be the fourth-hottest year since global record-keeping began in 1880. Of the 18 hottest years on record, 17 have occurred in this century. The good news is, we can still avert the worst impacts of climate change by taking decisive action now, as 64 percent of the public expects from our government. It wasn’t politics that amped up Hurricane Michael from a 95-mile-per-hour superstorm to a 155-mile-per-hour monster in less than 33 hours: it was ocean waters several degrees warmer than normal. Just like the record-warm Gulf of Mexico waters that packed energy and moisture into Hurricane Harvey before it drowned Houston beneath a record five feet of rain last year, or Hurricane Maria, which devastated the U.S. territory of Puerto Rico weeks later. And it’s no political agenda that’s turning croplands to desert in Kenya, China and parts of Kansas. It’s withering drought and blistering heat directly linked to climate change. Same for the warming waters that are killing the Great Barrier Reef. Same for the climate chaos contributing to the most rapid collapse of species since the dinosaurs disappeared 60 million years ago. Same for the U.S. wildfires that, this year alone, have torched more than 8.1 million acres, enough to cover half the state of West Virginia. There’s something seriously off with a president who makes decisions based on what he calls his “natural instinct for science.” Perhaps worse is the GOP leadership that trundles approvingly along behind. We didn’t use a mood ring to put a man on the moon and we won’t grasp the opportunities or rise to the challenges of our time using divining rods, whim and fancy. Trump, though, isn’t flying by the seat of his pants. He’s hewing to the dictates of the coal, gas and oil companies. They’ve devoted decades of lobbying, campaign payouts and misinformation to sowing doubt about climate science and pressing for policies to prop up profits by locking us into fossil fuels. That’s been the blueprint for Trump’s agenda – at home and abroad. Anchoring our future to the dirty fuels of the past is a fool’s errand. The world is moving on from fossil fuels and transitioning toward a low-carbon future, with some $8.4 trillion in clean energy investment projected over just the next three decades. We want American workers to be the winners in that fast-growing global market, and that begins at home. Right now, across this country, 3.2 million Americans get up every day and go to work helping us to become more energy efficient, so we do more with less in our workplaces and homes; helping us to build, right here in this country, some of the best all electric and hybrid cars anywhere in the world; and helping us to get more clean, homegrown American power from the wind and sun. That’s nearly three times as many as the 1.1 million who work to produce and refine fuels from coal, gas and oil (912,096); and to operate the power plants (171,635) that burn those fuels. Clean energy is creating the jobs of the future, and 61 percent of our people know it. We grow those jobs with policies that help to advance a just and equitable shift away from the fossil fuels that are driving climate change and toward cleaner, smarter ways to power our future. That’s not what Trump’s fossil fuel backers want, though, so Trump’s doing all he can to put the brakes on clean energy progress. The coal industry, in particular, wants Trump to kill the Clean Power Plan, one of the most important measures we’ve taken to fight climate change. The 2015 EPA rule is aimed at cleaning up the dirty power plants that account for nearly 40 percent of U.S. carbon emissions. Trump is working to repeal the rule and replace it with a do-little substitute. The Clean Power Plan sets the first-ever national limits on carbon emissions from power plants, with the goal of cutting that pollution 32 percent below 2005 levels by 2030. It tailors carbon limits based on each state’s individual power mix, then lets power companies determine the most cost-effective way to hit the targets. They may, for example, help consumers improve energy efficiency, shift to cleaner options like wind and solar power, or tune up their generating gear. Small wonder Americans across the country overwhelmingly support the Clean Power Plan. Polling shows that 72 percent support the plan in Michigan, for example, along with 68 percent in Wisconsin and 64 percent in Missouri. It’s also backed by hundreds of U.S. corporations, including the likes of Apple, Google and Ikea. And more than 244 mayors from 48 states and territories representing 52 Americans signed a letter this year in support of the plan. Over the past three decades, the coal industry has shed nearly 70 percent of its workforce. The industry itself has replaced workers with machines. And coal’s share of U.S. electricity generation has fallen from 57 percent in 1985 to 30 percent last year, as we’ve developed cleaner, smarter ways to power our future. 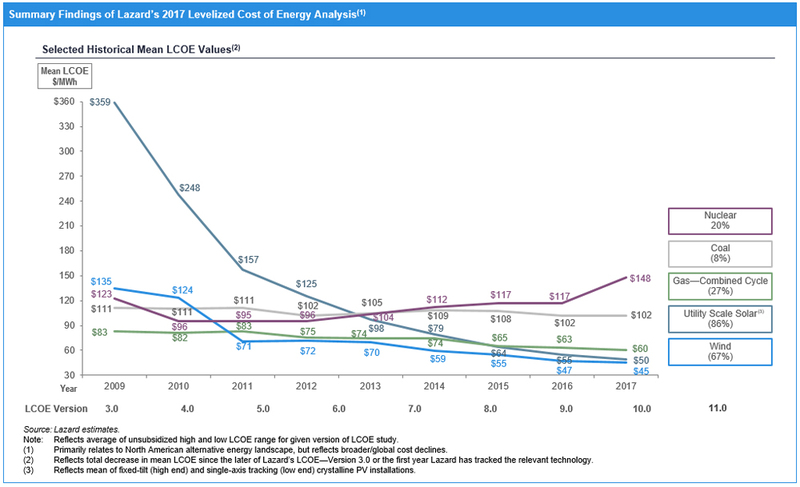 As prices for clean, homegrown renewable power have plunged over the past decade, dirty energy actually costs more across more and more of the country, while wind and solar power combined to generate at least 20 percent of the electricity in 10 states last year. Killing the Clean Power Plan won’t reverse the tide of history. It would, though, put us well behind the curve in our obligation to fight the worst impacts of climate change. In 2012, after extensive consultations with the auto industry, the EPA and the U.S. Transportation Department issued new clean car and economy standards. They were meant to roughly double the fuel economy of our cars by 2025, to a fleet average of 54.5 miles per gallon. That meant slashing in half the carbon pollution per mile driven, one of the most effective measures we could take to fight climate change. The standards are a win-win for American families. Hitting the new target would save drivers up to $7,400 in fuel costs over the life of a 2025 vehicle, while adding roughly $1,800 to the price of the new car. The result: savings of some $5,000 in overall costs. The savings were already adding up by last summer, when the standards had already helped improve gas mileage for new cars, SUVs and pickup trucks. In August, though, the Trump administration proposed rolling back the standards to a fleet average of just 37 miles per gallon by 2025. The result could be as much as 1 billion additional tons of carbon dioxide being pumped into the atmosphere between now and 2035. That’s roughly as much carbon pollution as our cars and trucks pump into the atmosphere in an entire year. Weakening the new car standards also means an estimated 60,000 jobs by workers making more efficient vehicle parts and materials would be put at risk; more soot and smog in the air we breathe; and some $200 billion in added fuel costs for drivers of new cars bought in the six years after 2021. 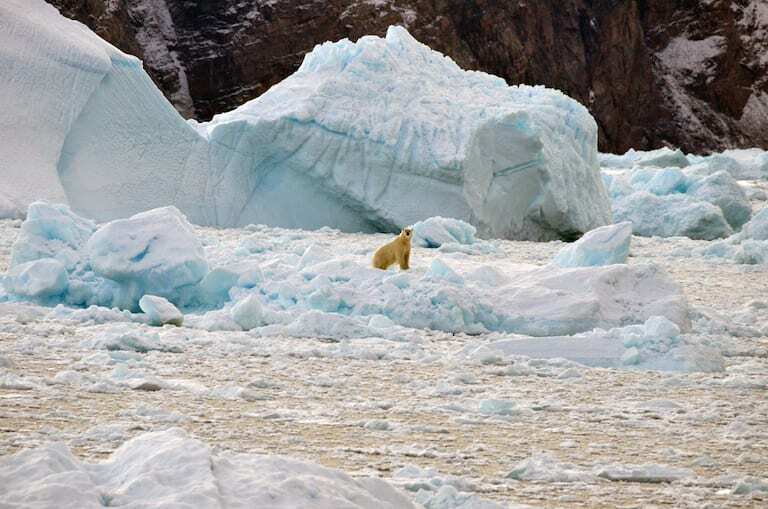 In a deceitful attempt to justify this madness, the administration claimed in a 500-page environmental impact statement that the Earth is already on track to warm by 4 degrees Centigrade, or 7.2 degrees Fahrenheit, by the end of the century. Cutting carbon pollution from our cars can’t stop that, the administration reasoned, so why bother trying? One day, Trump claims climate change isn’t really a problem. Then, suddenly, it’s too big of a problem to fix. This president will say anything, it seems, to justify doing nothing about climate change. As the new UN climate report makes clear, it’s likely we’re headed to something close to 1.5-degree Centigrade (2.7 degrees Fahrenheit) of warming, above pre-industrial levels. To date, we’re about two-thirds of the way there. We must do everything possible to hold overall warming to no more than 1.5 degrees Centigrade, to avert the worst impacts of climate change. That’s now how this country rises to challenge. It’s dishonest. It’s defeatist. It’s just plain dumb. 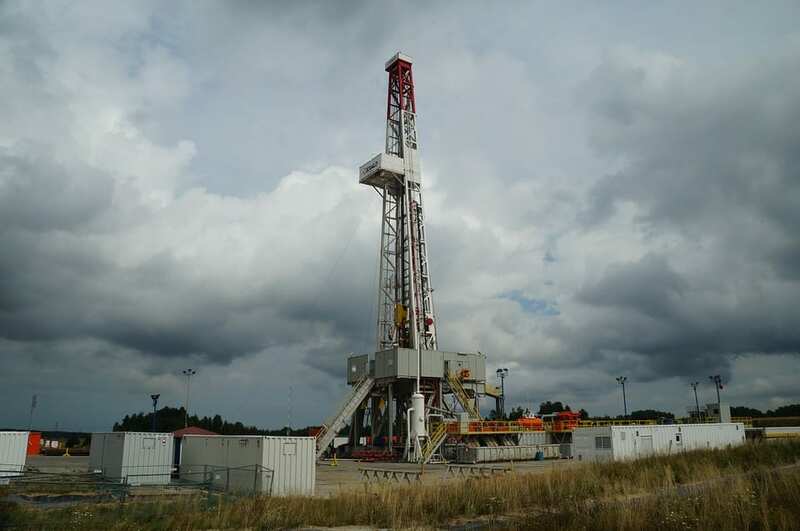 What most of us call “natural gas” is actually methane, often found in deposits with oil and similar hydrocarbons. Methane is a fuel. It’s also a powerful greenhouse gas. It’s the second-biggest driver of climate change, in fact, after carbon dioxide. The oil and gas industry leaks huge quantities of methane into the atmosphere, in drilling for oil and gas, or through leaks in production equipment or pipelines. Oil and gas operations also leak cancer-causing benzene and other toxic chemicals into the air, increasing the risk of some types of cancer, heart and lung problems, neurological disorders and even birth defects. More than 12 million Americans live within a half mile of oil and gas operations, close enough to be harmed by these pollutants, and nearly 3 million children spend their days in schools that close. The Obama administration put in place two important rules meant to reduce methane pollution from oil and gas operations. Six in ten Americans support the controls, which would dramatically reduce climate-wrecking methane pollution, but the Trump administration has tried to roll back both measures, pressing for changes that favor industry profits over climate progress. The first, the 2016 New Source Performance Standards, required oil and gas companies drilling on private land to monitor and repair methane leaks and use proven, commonsense measures to reduce flaring and venting. 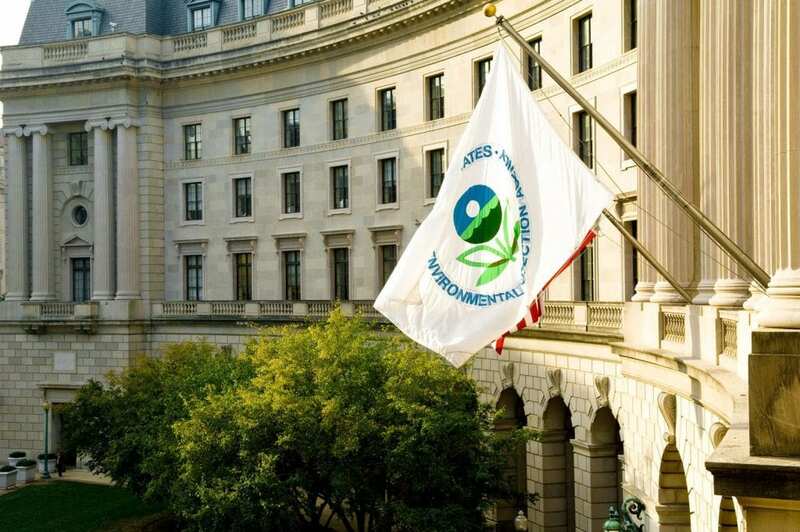 The EPA estimated the standards would provide up to $840 million a year in public benefits. Just two months after Trump took office, the administration proposed freezing the standards. NRDC and partner groups sued, arguing that failing to enforce the standards violated the Clean Air Act, and won in federal court in July 2017. As a result, the administration proposed watered-down, industry-friendly standards in September and will receive public comments until mid-November. The 2017 Methane and Waste Prevention Rule called for methane-reduction measures by companies drilling on public and tribal lands, resulting in up to $403 million a year in industry cost savings and public benefits. Trump administration efforts to roll back the rule also resulted in litigation. The result: partial implementation of the rule, pending a weakened replacement the administration proposed in September. Hyrdrofluorocarbons are a group of chemicals used for cooling and refrigeration. Many of these so-called HFC’s are highly potent greenhouse gases, up to 4,000 times worse for the environment than carbon emissions. Under a global agreement, the United States and other countries have pledged to reduce the use of HFC’s by more than 80 percent over the next 30 years, in favor of safer alternatives. A 2015 EPA order put certain HFC uses on a prohibited list. Two chemical companies – Mexichem Fluor and Arkema – sued. An August, 2017 federal appeals court decision ruled for the polluters, saying the EPA lacked authority to ban some uses of HFCs, and, in October, 2018, the U.S. Supreme Court let that decision stand. That’s not only bad for the climate: it undercuts the incentives that led companies like Honeywell and Chemours to invest billions of dollars bringing safer coolants to market. Fortunately, states are stepping up. California, New York, Maryland and Connecticut have committed to curbing HFCs. A dozen others are following their lead. That’s no substitute for national action, but it shows we can sustain needed progress on climate change when leaders put people over profits. The U.S. government uses a calculation known as the social cost of carbon in cost-benefit analyses for new or rewritten environmental safeguards and rules. It’s an estimate, in dollars, of the long-term damage from one tone of carbon dioxide emissions in a single year, as calculated by EPAeconomists. The Obama administration set its median social cost of carbon at about $42 per metric ton for 2020, based on the global harm created by each ton of U.S. emissions. The Trump administration cut that number to between $1 and $6 by 2020. Why? By pretending carbon pollution does relatively little harm, the Trump administration cobbled together false justification for its do-nothing replacement for the Clean Power Plan. It’s a bit like saying highway crashes aren’t dangerous so we can get rid of those pesky speed limits. Except that, in the real world, speed kills. And carbon pollution brings hazard and harm that impose real costs on our people. Finally, Trump is working to withdraw U.S. participation from the 2015 Paris climate agreement. That agreement was a triumph of American leadership. We’re doing what’s right for our people here at home, and the whole world got on board. Every nation on Earth – 195 – put plans on the table in Paris to cut or curb fossil fuel use. Why is the United States the only nation on Earth to walk away from that? Trump’s false critique of the Paris agreement has been widely debunked. The fact is, the Paris accord sent a message to the world: every nation is united in the environmental fight of our time. It sent a message to investors: the world is transitioning to a low-carbon economy with a staggering $8.4 trillion in clean energy projects at stake. And it sent a message to our children: we won’t condemn you to a world of climate chaos, break our promise to the rest of the world and leave future generations to pay the price. Trump is squandering what may be our last best hope to get that right and surrendering our future to climate chaos is not leadership. It’s reckless, irresponsible and wrong. The Gulf of Mexico produces 1.7 million barrels of oil a day, about 8 percent of U.S. consumption. That’s where the United States gets nearly all of the oil and gas currently produced in federal ocean waters. New drilling and production hasn’t been allowed for decades in federal Pacific or Atlantic waters or, for that matter, most Arctic waters. In January, the Trump administration proposed opening those waters to drilling, a move that would expose nearly every U.S. coastal community to the risk of the next BP-style blowout. That 2010 catastrophe killed 11 workers, dumped millions of barrels of toxic crude oil into the Gulf, threw tens of thousands of people out of work and caused widespread and enduring damaged to one of the richest marine, coastal and estuarine habitats in the world. It oiled 1,300 miles of coastal beaches and wetlands – equivalent to the entire eastern seaboard, from New York to Miami. Even as he seeks to threaten the lifestyle and livelihoods of millions of Americans by expanding the range of offshore drilling, Trump is moving to weaken safety provisions that reflect lessons learned from the catastrophic BP blowout. Offshore drilling is one of the most dangerous industries going, and Trump is making it more risky. Just this week, The Washington Post reported that a damaged Taylor Energy site 12 miles off the Louisiana coast has been leaking between 300 and 700 barrels of crude oil into the Gulf every day since 2004. That’s as much as 29,000 gallons – every day for 14 years. Neither our government nor the company has come clean about this to the public. We don’t have even a preliminary reckoning of the mounting damage this is doing to Gulf waters and coasts, nor has the company been fully held to account. The Taylor Energy disaster is a shocking example of the danger and ongoing damage this industry brings. 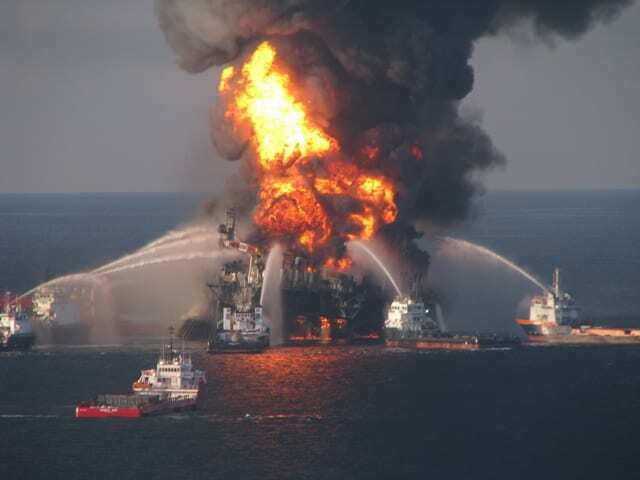 In the seven years following the BP blowout, the offshore oil industry experienced at least 4,105 explosions, fires, collisions, spills and other incidents that resulted in 1,568 injuries and 13 deaths, according to official statistics as compiled by the U.S. Bureau of Safety and Environmental Enforcement. There were 34 oil spills of more than 2,000 gallons each, and countless lesser spills that were never reported. We need responsible safeguards to make this industry less risky, not more dangerous. Right now, oil and gas companies hold active leases on 13.3 million acres of Gulf of Mexico ocean floor. That’s 20,781 square miles, enough to cover two-thirds of the state of South Carolina. We need to reduce, not expand, the ocean waters exposed to the risks of these dangerous industrial operations at sea. That’s what leaders of more than 300 cities and over 2,000 elected officials at the state, local and national levels have concluded, along with more and more business, environmental and fishing organizations. Small wonder why. People don’t want offshore drilling to jeopardize ocean-related tourism and recreation that accounted for $90.3 billion in economic activity in 2015 alone in states that would be impacted by Trump’s proposals. And nobody wants this industry to threaten the special coastal places in these states, home to 68 national parks and monuments that together hosted 84 million visits in 2017. Why would we put our ocean waters, marine life, coastal communities and all they support at risk of the next BP-style disaster? We’ve all heard Trump and his industry allies say it’s about national security. Really? If oil is so important to our “national security,” why is the industry exporting 7.1 million barrels a day of crude oil and refined fuels overseas? That’s four times as much as we were exporting just a decade ago, and it’s enough to meet 35 percent of our domestic demand – 20.5 million barrels a day – if it were sold in the United States. Instead, American families and communities get the risk, big oil gets the profit and our foreign rivals get the fuel. Trump calls that “America first.” We call it a con job. Expanding drilling puts some of our most treasured public resources at needless risk to line the pockets of big oil and gas. It puts industry profits first, and it puts the rest of us at risk. Mercury is a hazardous byproduct of burning coal. It contaminates fish, where it remains in the tissue, to be passed on to anyone who eats the fish. Even small amounts of mercury can cause brain damage in infants and small children, as well as cardiovascular and central nervous system illnesses in adults. 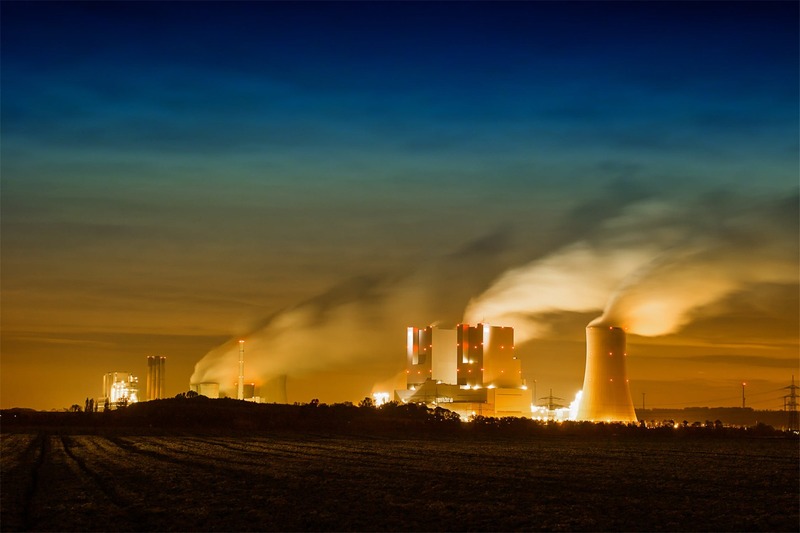 In December, 2011, the EPA finalized the first national Mercury and Air Toxics Standards to reduce toxic air pollution from power plants that burn coal and oil. These plants cough up powerful pollutants, including mercury and other toxic metals, acid gases, and organic air contaminants like dioxin. Ugly stuff. The long overdue protections have been in place since 2015. Covering some 1,400 generators at 600 power plants nationwide, the standards are providing up to $90 billion in public health benefits every year. In part, that’s by avoiding up to 11,000 premature deaths, 4,700 heart attacks, 130,000 asthma attacks and 540,000 missed days of work or school annually. Most of the nation’s utility industry, which has invested some $18 billion to comply with the standards, supports the mercury and air toxics standards and the benefits they provide. Trump, though, is trying to weaken the standards. Andrew Wheeler, the former coal lobbyist who is Trump’s acting administrator of the EPA, isscheduled to announce the findings of a review of the standards in November. Why? Getting rid of the protections is high on the wish list coal magnate Robert Murray presented to Trump weeks after he took office. Murray, president of Murray Energy Corp., the nation’s largest coal mining company,donated $300,000 to help fund Trump’s inaugural fete. As a lobbyist, Wheeler helped Murray fight the Clean Power Plan. Now, with Trump’s blessing, he’s doing the coal industry’s bidding from inside the EPA. 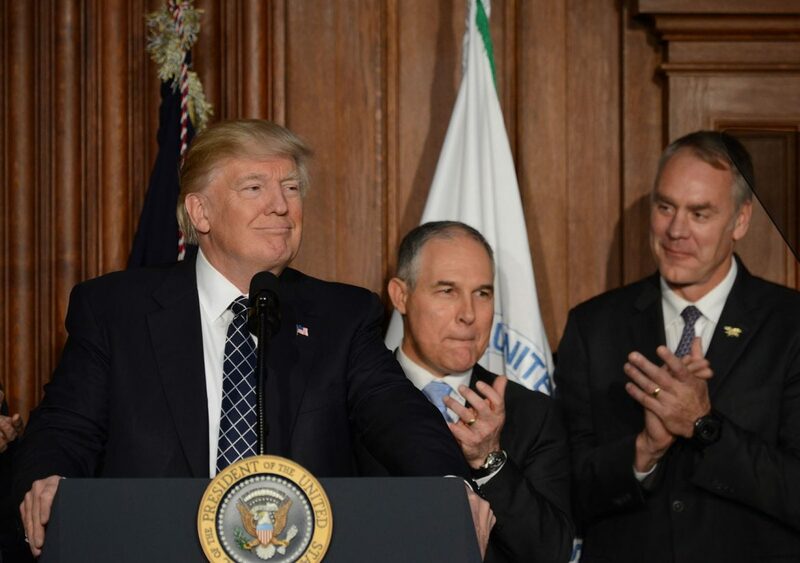 Under Trump, the agency Richard Nixon set up as our last line of defense against toxic pollution and industrial ruin has joined forces with some of the biggest polluters on the planet to strip us of safeguards that protect the environment and public health. That’s not great. It’s corrupt to the core. The EPA’s 2015 Clean Water Rule, also known as the Waters of the United States, clarifies provisions in the Clean Water Act to ensure that wetlands and small streams get the protection they need to prevent pollution of our larger waterways. That’s important. The affected waterways include drinking water sources for one in every three Americans. The Trump administration sought, in 2017, to repeal the rule and to delay it by two years while it worked on the repeal. In August, 2018, though, a federal judge in Charleston, S.C., found that the EPA had failed to comply with mandatory federal procedures in seeking to delay the rule. That cleared the way for its enforcement nationally. The rule is on hold in 28 states, though, while courts consider challenges to its requirements. Now, the administration is seeking to weaken the rule, once again casting into limbo the fate of drinking water sources for tens of millions of Americans. If it takes force, the weakened rule would strip away protections that have helped us dramatically improve the quality of waterways used for swimming, fishing and to supply drinking water. It would wipe out essential protections for streams and for wetlands that filter out pollutants and protect our communities from flooding. The result would be more contaminants in our sources of drinking water, more harmful algae blooms and fewer fish, crabs and oysters in iconic estuaries like the Chesapeake Bay. 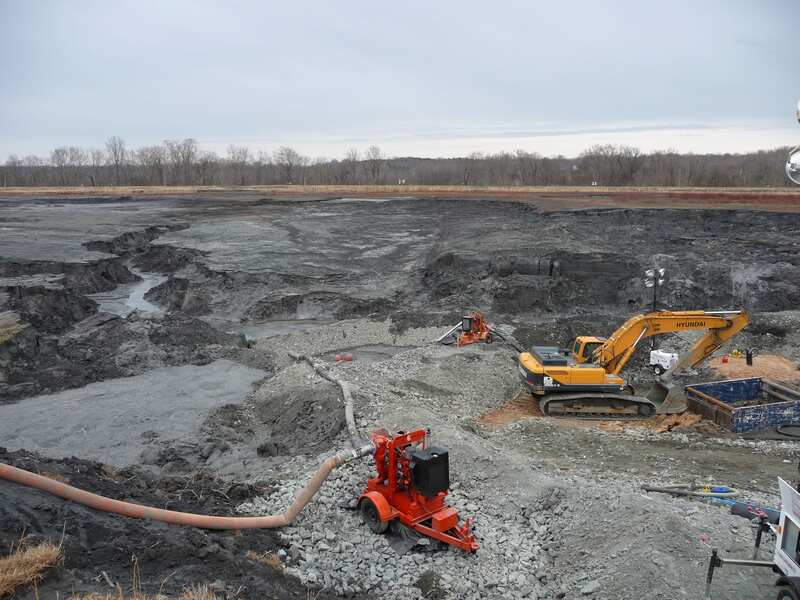 The administration is also moving to spare polluters from 2015 protections put in place to help prevent commercial cesspools of toxic coal ash from contaminating neighboring communities and waterways. Coal ash contains a deadly brew of carcinogens, neurotoxins and other pollutants such as mercury, lead, cadmium, arsenic and radium. The Trump administration stripped out 2015 protections meant to reduce the risks of coal ash spills and leaking ash dumps. If the administration continues along this destructive path, it will face a certain court challenge. 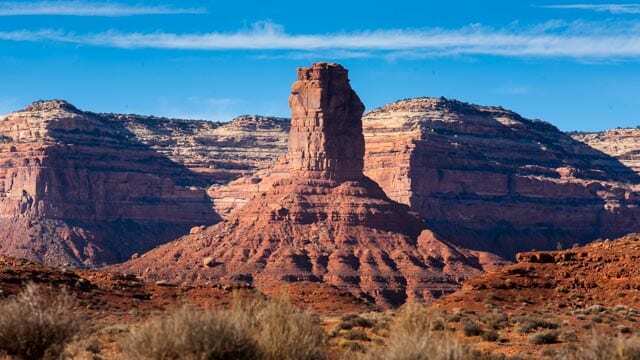 Last December, in the single-largest attack on our public lands in U.S. history, Trump stripped needed protections from nearly two million acres of the Bears Ears and Grand Staircase-Escalante national monuments in Utah. Here’s why: take a look here at maps that show where Trump stripped away protections, overlaid atop known deposits of oil, coal, natural gas and uranium. Trump’s naked handover to industrial interests of public lands that, literally, belong to you and me, is unconscionable. It’s also illegal. Last December, NRDC joined with partners to file a lawsuit to protect Grand Staircase-Escalante and another to protect Bears Ears. These suits, and others, have been consolidated and are pending action. As we stand up to that unprecedented attack on our country’s natural heritage, we’re braced for further moves to unravel America’s treasures, including our marine monuments. These ocean areas are home to diverse marine species – endangered whales, dolphins, sea turtles, sharks, seabirds and centuries-old corals – and they are currently protected against activities such as commercial fishing (with limited exceptions), oil and gas drilling and deep-sea mining. Secretary of the Interior Ryan Zinke and an official with the National Oceanic and Atmospheric Administration have suggested opening New England’s marine monument to commercial fishing, and potentially shrinking or otherwise changing other marine monuments such as the Pacific Remote Islands and Rose Atoll marine national monuments. To allow industry to fish within monument boundaries would cause irreparable damage. Industrial-scale fishing gear can catch and entangle marine life and ultimately disrupt entire ecosystems. If the Trump administration slashes protections for the Northeast Canyons and Seamounts marine monument, we would join with our partners to keep this irreplaceable ocean habitat safe from industrial exploitation for the benefit of the public. Marine protections serve all of us. Coastal communities and businesses overwhelmingly support marine national monuments, as do elected officials, scientists, faith leaders, native voices, aquariums and other stakeholders. For more than a century, protecting our public lands and ocean waters have been a bipartisan priority reflecting core American values about conservation and preservation of wildlife, habitat and special places. These public lands and ocean waters are a public trust, set aside in the public interest, so that future generations of Americans might know the natural splendor of this country. That’s a promise we’ve made to our children. It’s a promise we’re going to keep. The Department of Energy has revived a misguided plan from the George W. Bush administration and is moving to reclassify highly toxic radioactive waste at the nuclear materials handling facility at the Hanford Site in Washington state as “waste incidental to reprocessing.” By making that change, the federal government could then leave tens of thousands of gallons of this toxic slurry under a layer of grout and abandon it next to the Columbia River. Abandoning some of the most toxic and radioactive waste in aging tanks poses an unacceptable risk to the Columbia River and the many populations that rely upon it, both trial and those of Portland and Vancouver, all downstream, and this action would only open the door to leaving even more toxic waste behind to threaten the river. Public comments on this proposal are due November 7. If the Energy department doesn’t drop this dangerous idea, it’s sure to face a court challenge from those who say the federal government is responsible for cleaning up its own nuclear mess. Separately, EPA undertook an underhanded process that could lead to weaker protections against radiation exposure. As part of its regulatory change on censoring science, EPA slipped in the radical theory of a few researchers and industry groups who have tried for years to downplay the dangers of so-called “small doses” of radiation. Adopting this plan would means Superfund sites could be abandoned with low radioactive content, the effluent from nuclear plants could contain higher doses of radiation and workers at nuclear plants could be exposed to more radioactive doses each day. It even has applications for sites where oil and gas is produced through hydraulic fracturing, because the wastewater produced at fracked wells has some radioactive content. Finally, and perhaps most inscrutably, Trump has waged a broadside on the very concept of responsible public oversight of industry that pollutes our environment and threatens our health. If Trump gets his way, he’ll speed up these attacks in the months ahead, one more tactic for enriching polluters at the public’s expense. In an executive order Trump signed ten days after taking office, he called for two safeguards to be eliminated for every new rule, standard or regulation a federal agency puts in place, regardless of the benefits these new protections provide. These are safeguards adopted to defend our families, workers and communities from harm. Trump’s help one, harm-two approach to regulation is arbitrary, capricious and irresponsible. It also flies in the face of the Constitution for the president to assert the authority to, in effect, rewrite or rip up by personal fiat regulations federal agencies put in place to implement and enforce laws duly passed by Congress. 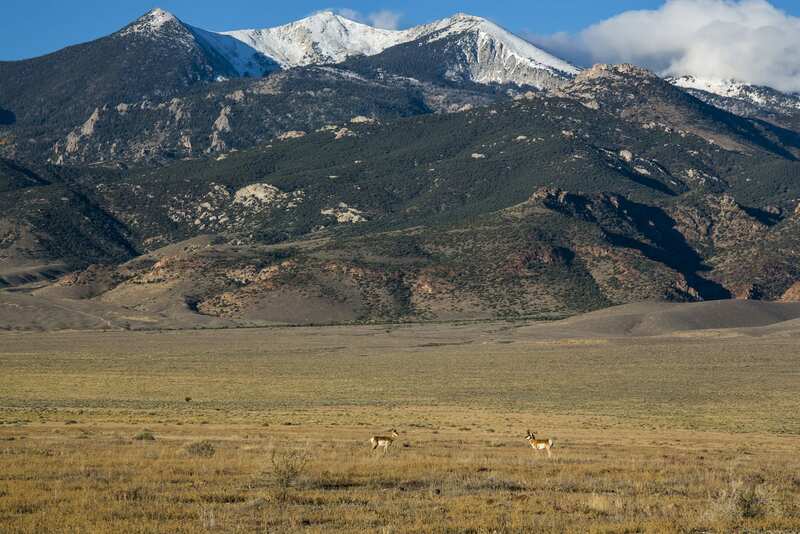 That’s why NRDC joined with public interest partners to file suit seeking to block this order. The suit is pending in federal court. To date, in fact, NRDC has filed some 55 suits to protect the environment and public health against Trump administration attacks, and we’re engaged in more than a dozen others. Of the 25 cases that have been resolved, we’ve scored 21 victories. That’s because our courts are where we bring falsehood to heel. Truth wins out over empty rhetoric and the rule of law triumphs over lies intended to stoke anger and fear. Regulations adopted by federal agencies must be grounded in law, sound science and the public interest. They must be developed under a transparent process, in which a proposal is made public, the public is given the opportunity to comment on the proposal, and the agency involved is required to take those comments under consideration as it drafts a final rule. The final rule must then be made public, and the entire process is subject to litigation if the rule hasn’t been developed in accordance with the mandates laid out in the Administrative Procedure Act or other applicable statutes. Nobody wants over-regulation. Our federal government, though, has no higher obligation than to protect the health and safety of our people. It does so through agencies that implement and enforce clear rules of the road, rules that are grounded in law, sound science and the public interest. That’s how responsible public oversight is designed to work, as set forth in statutes Congress enacts, as required by our Constitution. When our government fails us, we citizens have the right to hold our government to account. That’s what government by the consent of the governed is all about. That’s the heart and soul of American democracy. Whatever we voted for two years ago, nobody voted for dirty air, polluted water and the ruin of oceans, wildlife and public lands. Nobody voted to bury future generations beneath a mountain of environmental debt they can never repay. Nobody voted to sacrifice the future of a healthy planet at the altar of polluter profits. Poll after poll shows Trump’s reckless assault on our environment and health to be wildly out of step with American values and views. In a March, 2018 Gallup poll, 90 percent of Americans say the U.S. government is doing too little, or the right amount, to protect the environment. Just 9 percent say the government is doing too much. Americans overwhelmingly disagree – 62 percent disapprove; 32 percent approve – with Trump’s decision to withdraw U.S. participation from the Paris climate agreement. The agreement is supported by nearly seven in ten registered voters, including majorities in every state. Seven in ten Americans understand the planet is warming; 68 percent grasp that the rising temperatures are largely caused by pollution from human activities; 64 percent say the government should do more, not less, to fight climate change; and 73 percent – including 62 percent of Republicans – understand that we can fight climate change while protecting American jobs. 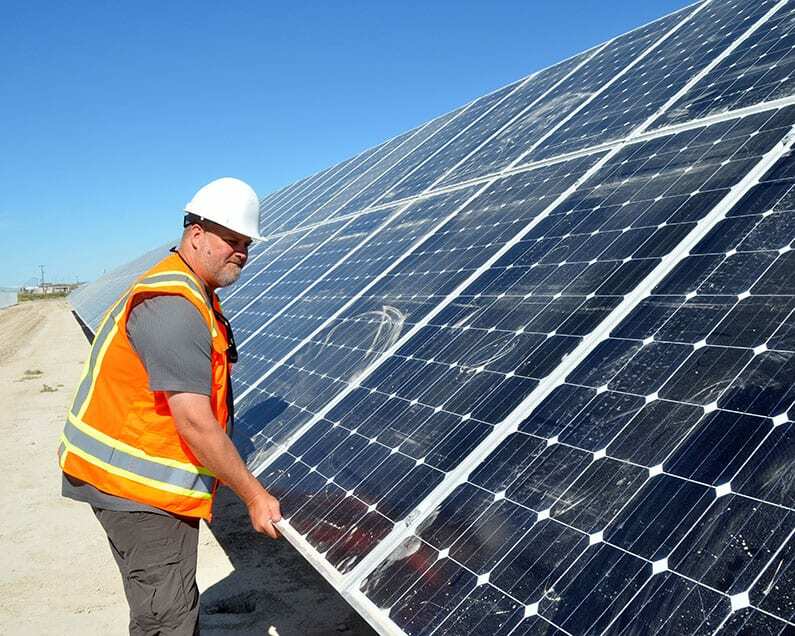 Nearly eight in ten – 79 percent – support statewide shifts away from fossil fuels and toward renewable energy sources like wind and sun and nearly 73 percent say their state should commit to 100 percent renewable energy by 2050. In a 1984 speech to dedicate a new headquarters building for the National Geographic Society in Washington, D.C., President Ronald Reagan made the case that environmental protection is a core conservative American value. In the time of Trump, just 14 percent of us believe we’ll rise to that call and meet that responsibility, an April poll by CBS News found. A shocking 56 percent said we will leave our children a world that is worse off, not better than, the world as it is today. We cannot allow that to happen. There can be no better test of leadership than the quality of the world we leave our children. A society that fails its children is failing. We are better than that in this country, and the challenges before us demand our best – conservative, progressive and everything in between. The stakes could not be higher, for our families, our communities and our country. Bob Deans is a senior adviser to the NRDC Action Fund.